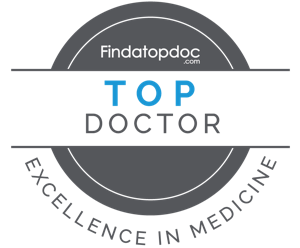 Dr. Wisroth is certified from Harvard Medical School in Lifestyle Medicine: Prescribing Exercise. He is confident that he is equipped with the skills and knowledge to manage your sports injury to the highest degree and get you back to competing. Chiropractic is just as important for injury prevention as it is for injury recovery. As you are running, turning, pivoting and playing contact sports your spine will shift out of alignment. Now depending how far out of alignment it can cause injuries to the nervous system as well as the muscles and tendons that allow the spine to move. We recommend that all patients participate in regular wellness care. Athletes know and understand that after being injured the first time, they need to maintain to protect from future injuries. We utilize a specific neurological based Chiropractic technique that allows for a quicker recovery time. We love taking care of athletes and if you are an athlete suffering from reoccurring injuries or are looking to enhance your performance let’s sit down and discuss how Chiropractic may help. Discover How To Live A Healthy Life In Casper With Our Hidden Resource Guide! In this ‘must-have’ free guide, you’ll discover Dr. Wisroth’s incredible hidden resources and insights that exist right here in our local Casper Community that will empower you with healthy eating choices at our local restaurants and grocery stores.